Support wifi & GSM & 3G and 2G network, effectively avoid some places subject to 3g network restrictions, also to provide customers with more possibility, that can according to their own needs to switch the network requirements. Notes: This alarm system need to work in a good network environment, the cell phone and the host need to under the same wifi when it is the first time to set up. 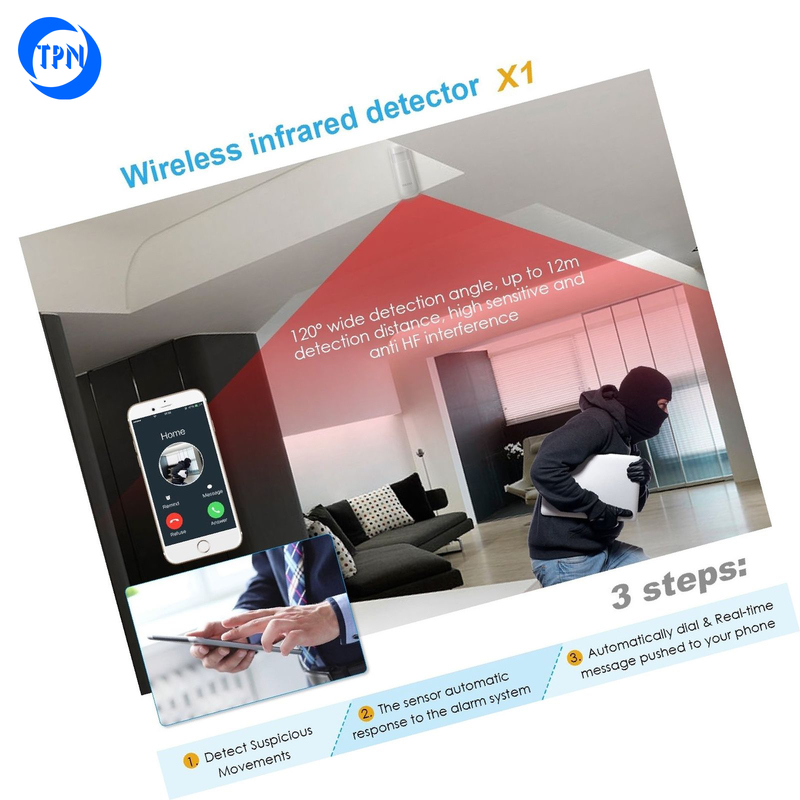 [99 Sensors Paired]: Defense Zone Support, for a gate, SOS, bedroom, window, balcony, perimeter, smoke, gas, carbon dioxide, water leaking detection etc. 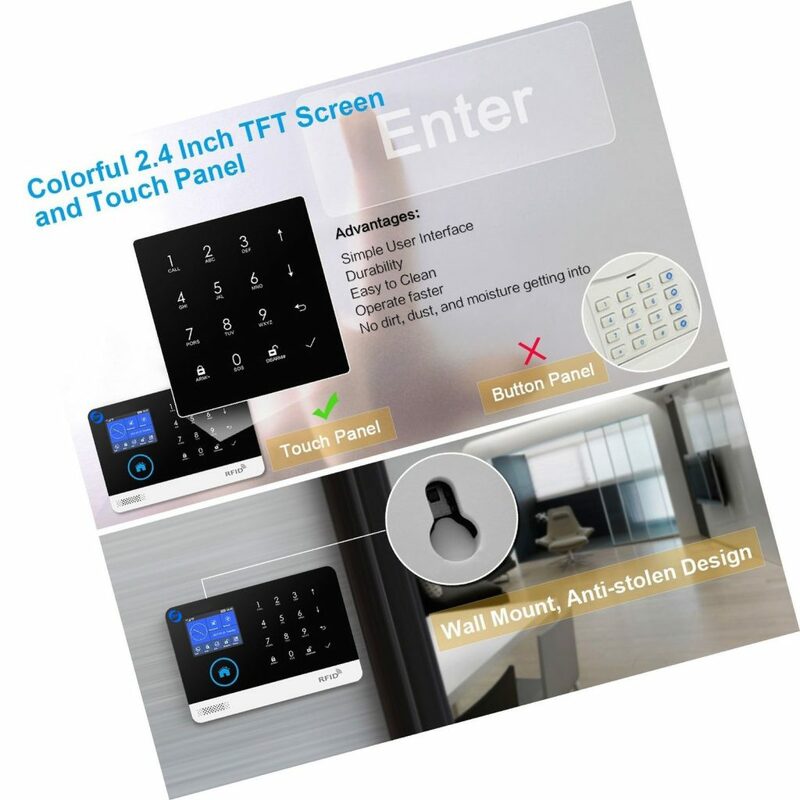 For other systems, the alarm system can pair accessories arrive 99 accessories, effectively from all aspects to prevent any suspicious movement, activity or potential intruder, to protect your family and property 7/24hours. 【APP Remote Control]Note: App must be set to international mode. 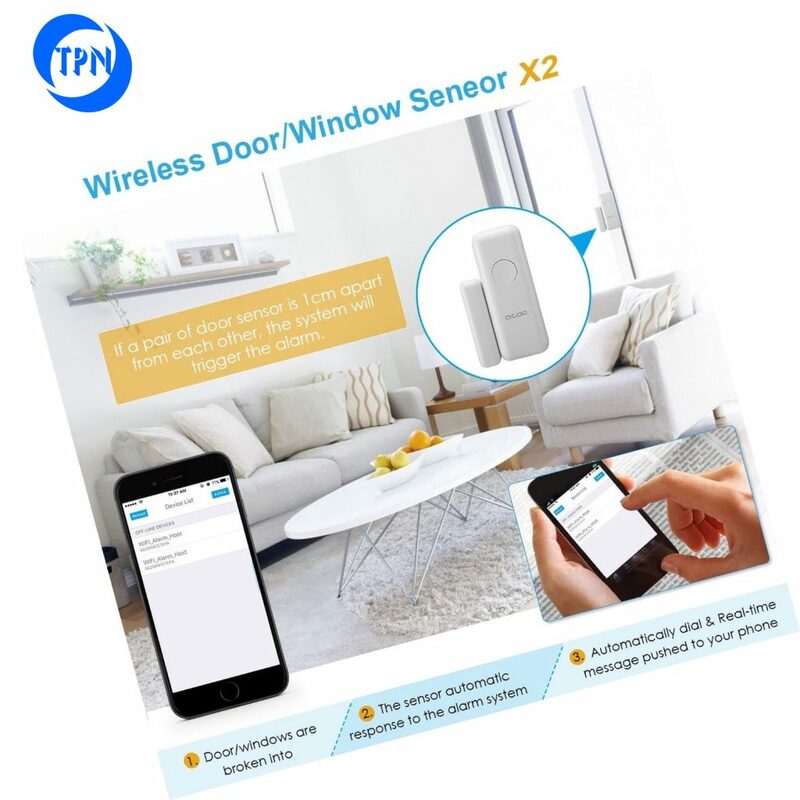 Remotely control sensors setting, easily to remote arm/disarm all sensors, or set up a message and call real-time push notifications setting and view all sensors’ status from APP. Notes for sim card a.SIM card must support GSM (key point) b. The SIM card cannot be encrypted with PIN code (if there is, it can be used to unlock the PIN code on the phone) c. The device has IMEI code, automatically activate and identify the SIM card. [Loud SOS Alarm and Easy to Get Help]: Children and seniors at home in an emergency, press the SOS button of the remote controller, which will trigger all alarms to notice neighbors and send SOS calls and messages to other families, so they can get help in time. 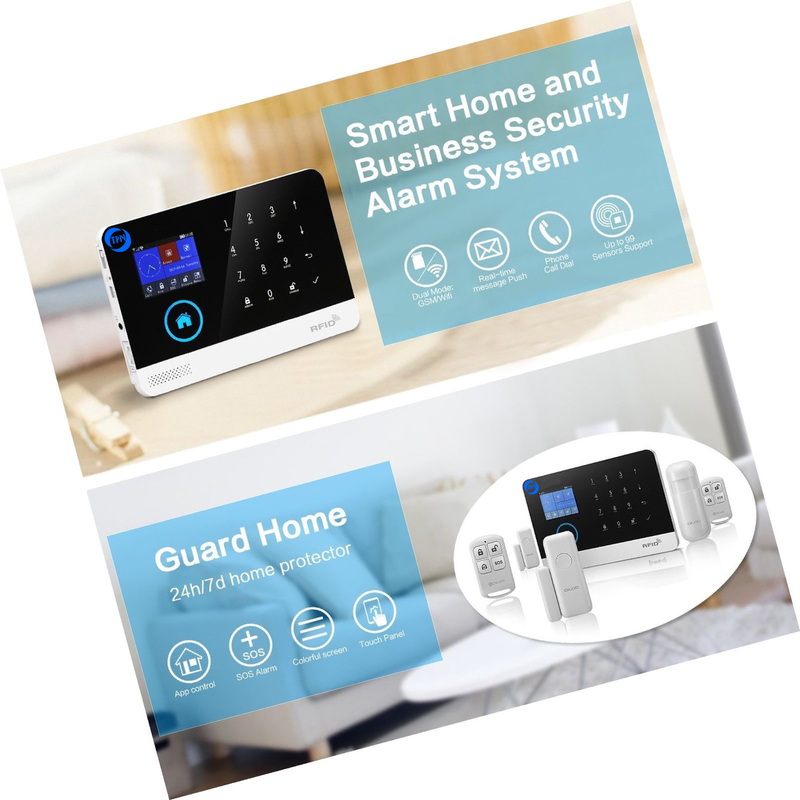 Support 5 groups preset alarm phone number and 20 Seconds Help Voice recording, if the alarm occurs, the host will dial a preset number automatically and play the record your help voice. 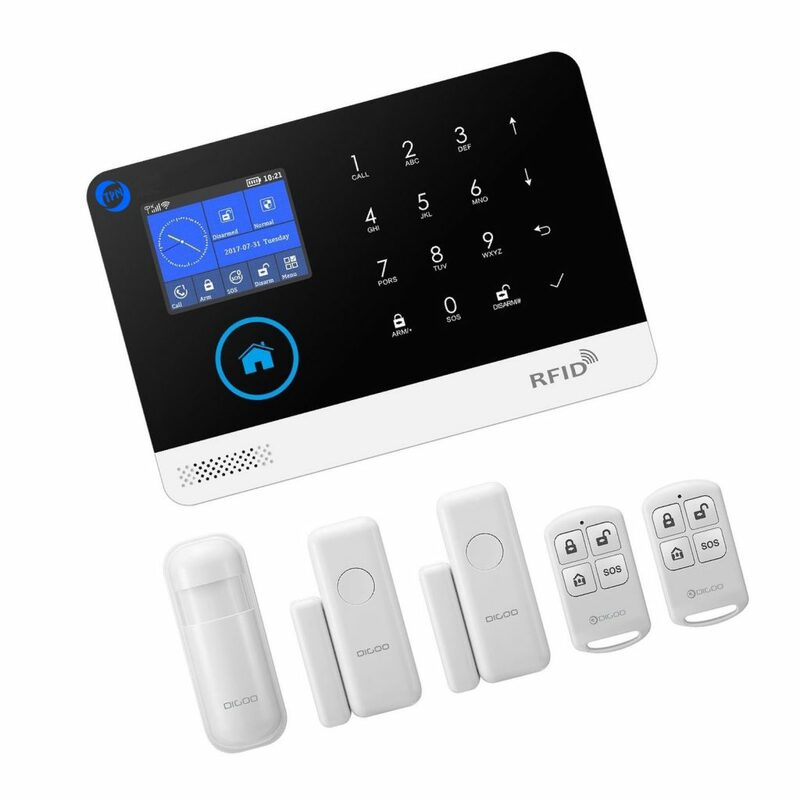 [Package included]:1*Home Security Alarm Host,1*Wireless PIR Detector,2*Remote Controller,2*DoorWindow Sensors,4*Assist Installation Screw,4*Wall-in Fixed Rubber Block,1*1M USB Power Cable (Simply 5V 1A Required),1*English User Manual. And all related accessories, you need order more to pair with the alarm system, all can be found on our shop.